Suspicious sounds coming from near the clothesline, leads to a midnight investigation of the ranch. 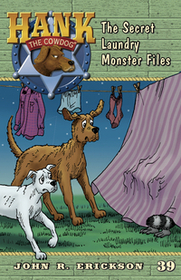 Before he knows it, Hank finds himself caught up with his old friend Eddy the Rac—and face-to-face with one of a dog’s greatest enemies: the dreaded Laundry Monster! Or is it just Eddy the Rac up to his old tricks?